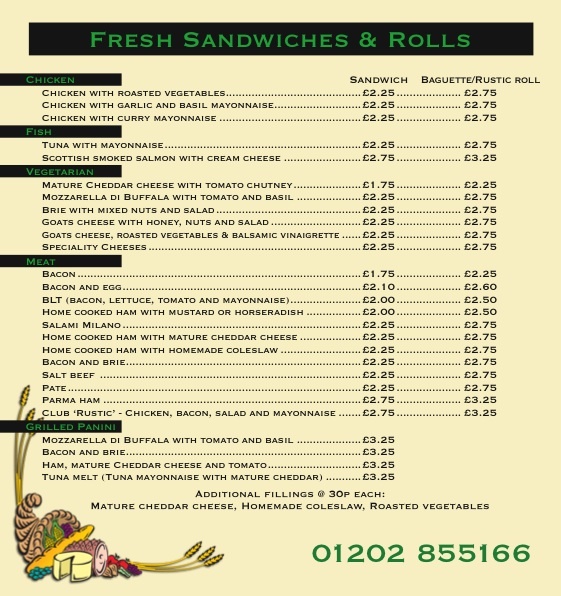 Our delicious sandwiches, baguettes and hot paninni's are prepared by fully trained staff in hygienic surroundings using only the highest quality ingredients fresh from the Deli. We also have a range of home-made produce including lasagna's, pizzas, pasties, soups and salads, available seasonally throughout the year..
Daily deliveries take our products to factories, offices and shops throughout the area. Custom orders for lunches or catered events may be placed via our website. 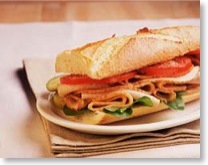 Please click here to view our selection of sandwiches.